Published in the incredible Heroes and Villains book Jack Dedicated to his wife Roz. Jack did all these drawings at home, using his free time to do Pin Up style drawings. For some of these characters it was the only splashy image they were ever featured in. Here we MACHINE MAN. Pencil on paper, 8 x 10 3/4 inches. Excellent condition. 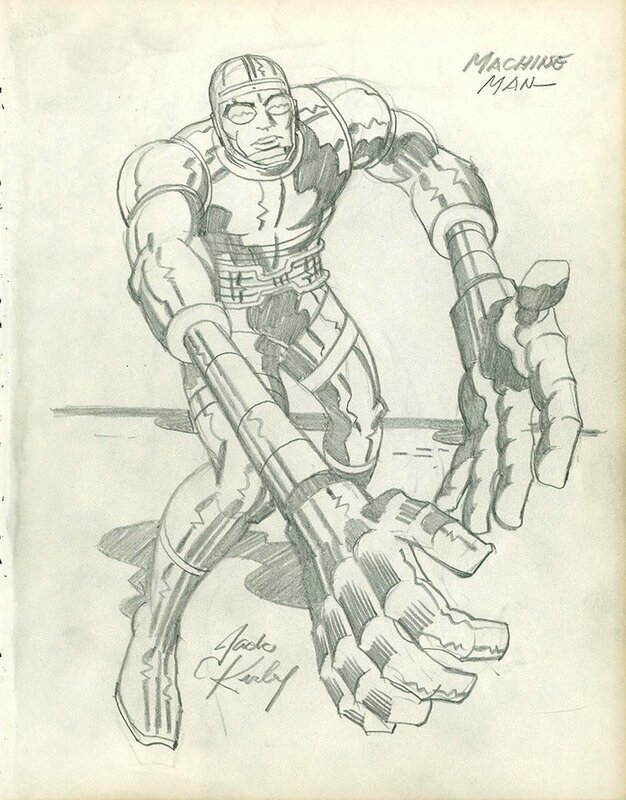 Signed and titled by Kirby. From the 1970's.